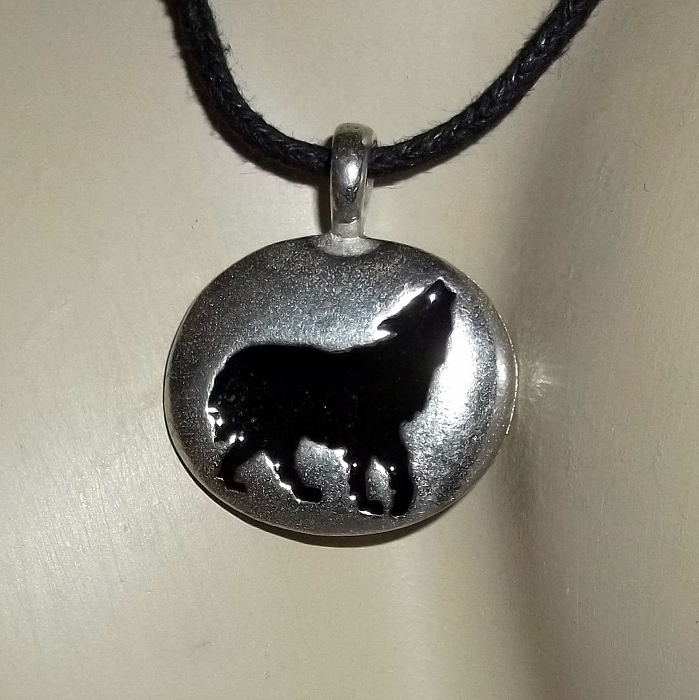 The Spirit Wolf set in a unisex necklace with a black sliding knot cotton cord. 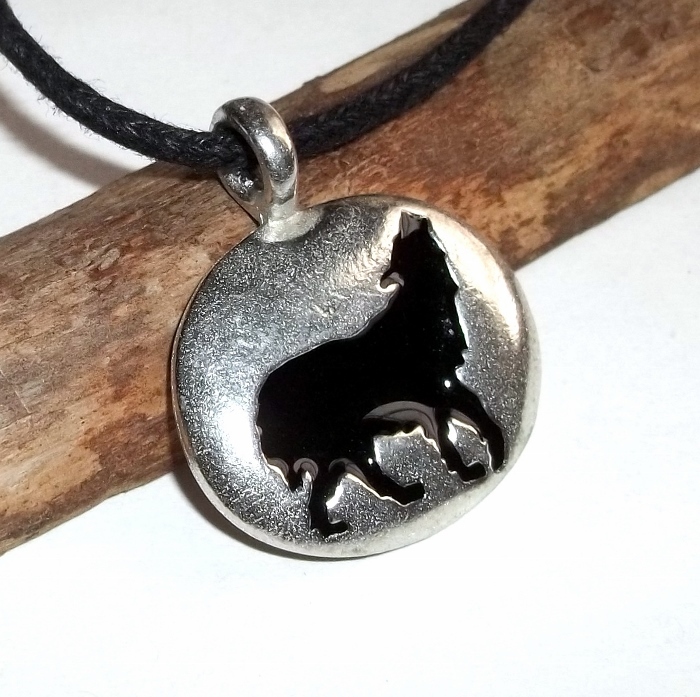 The Wolf Spirit helps with communication, generosity, and loyalty. 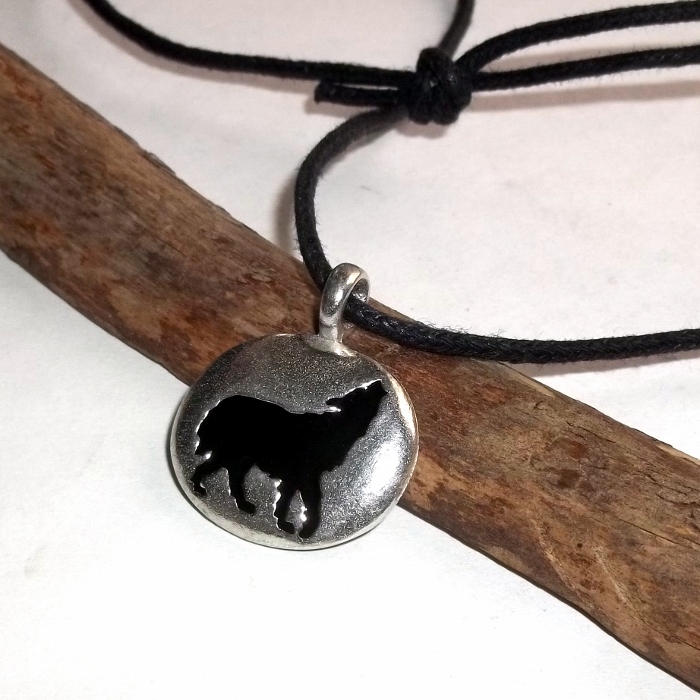 Wolves are eloquent, have a noble passion, and easily adapt to groups. 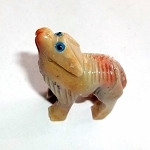 And guard me as I move through this world. 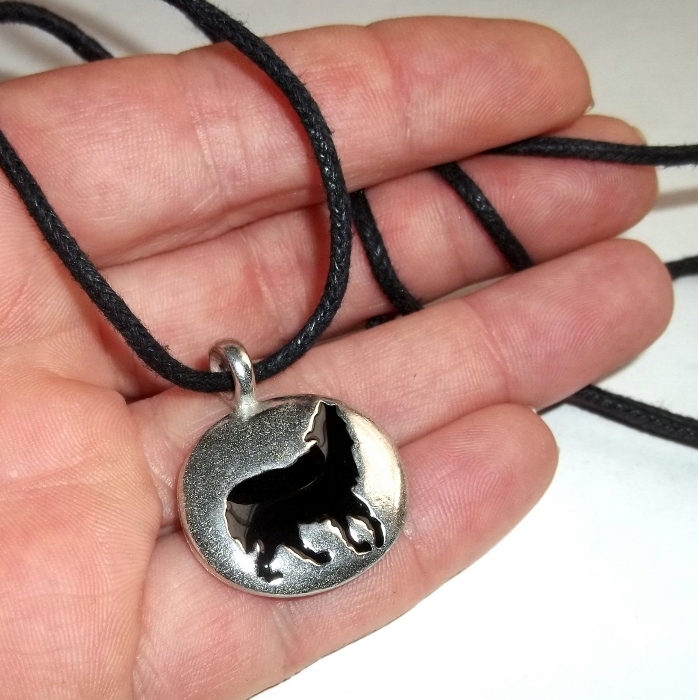 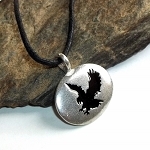 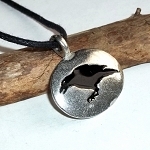 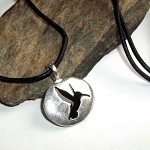 The Spirit Wolf pendant is approximately 1 inch by 7/8 inch in lead free pewter.